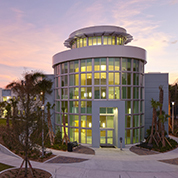 The predominant aim of the Medical and Health Sciences Collections and User Services department is to support the curricular, instructional, and research needs of the students, faculty, residents, and staff of the FAU Charles E. Schmidt College of Medicine. The department is currently staffed by two medical librarians. 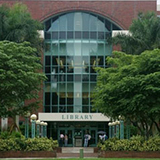 The department maintains primary offices within the 103 suite of the Wimberly Library building on the Boca campus, as well as an office in the College of Medicine that is staffed a minimum of ten hours per week. The medical librarians design, implement, and teach evidence-based medicine within the Foundations of Medicine courses and the Lifelong Learning & Discovery Thread. They also serve on College of Medicine standing and ad hoc committees, assist with the research needs of faculty and students, and implement programs designed to support the overall mission and vision of the College of Medicine. The department is also responsible for training and access for affiliate faculty, most of whom are located off-campus in hospitals, private practices, and health departments. 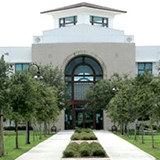 The collection development component of the department incorporates both clinical and basic sciences as well as medical education requirements.